This walking holiday is based in the wonderfully unspoilt Euganean Hills, tucked in a quiet corner below the beautiful mediaeval city of Padua, west across the plain from Venice. Once volcanic islands, these hills have a striking conical appearance; they are cloaked in an astonishing variety of plant life including holm oak, maple, orchids, heather and poppies and have been recognised as a National Park. The lower slopes give way to colourful meadows and immaculately groomed vineyards so it's little wonder the region produces such a fine variety of wines! Starting in the tiny hamlet of Cortela, nestled amongst vines, you head across poppy fields and through forests to Valnogaredo. You discover the jumbled cobbled streets of mediaeval Arqua Petrarca, where the famous C14 Italian poet, Petrarch, made his home, before continuing through fertile fruit orchards to Galzignano. A convenient stone's throw from the Italian Baroque gardens of Valsanzibio, there's time to explore its magnificent maze before a series of outstanding views leads you to panoramically perched Teolo. The hotels we've selected for you are full of character and are all family run, with warm welcomes throughout. They range from a hillside villa just outside mediaeval Arqua Petrarca and Gabriella and Alessandro's rustic, yet cosy agriturismo, to the exquisite Liberty Villa Lussana with its stunning position overlooking the dramatic Euganean Hills. Read more about this holiday in Silver Travel Advisor. This is of easy/medium difficulty. It mainly follows forest paths and country lanes, with just a few brief steep sections. Walking boots are recommended. Arrive at Gabriella and Alessandro's farmhouse in time for dinner in their cosy dining room. Head across bright poppy fields, then through mountain ash and oak forests to the hamlet of Valnogaredo. The convent of Beatrice d'Este crowns the next hill, Monte Gemola. 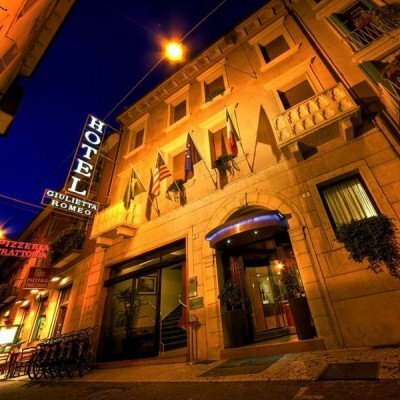 Enjoy glorious views over Arqua Petrarca before heading to your hotel. Explore Arqua Petrarca, still as it was when Petrarch came here in 1370. Visit his well-preserved house and walk up geranium-decked streets to sumptuous C15 villas. Today's walk undulates through shady woodland before dropping down to the fabulous Villa Barbarigo at Valsanzibio. Catch the local bus (35 mins excl Sundays) to Padua, the region's second art city. View the Cappella degli Scrovegni (Giotto frescoes), admire Donatello's Gattamelata statue or savour a cappuccino in the largest square in Italy! You may wish to treat yourself to a spa/massage at Montegrotto - great for aching muscles! Ascending through olive groves you reach Monte Rua hermitage, a popular lunch stop. A woodland path leads towards Rocca Pendice, an imposing volcanic stone massif. You skirt round it to enjoy breathtaking views across the chain of hills as you descend to Teolo, the only 'alpine' village here. Our hotel, an exquisite Liberty Villa, lies above the square. Supposedly the birthplace of the Roman historian Livy, Teolo is alive with history, and many of the buildings from its Serenissima heyday remain. There are lovely walks available including a circular one up Monte della Madonna with its panoramic views (walking notes provided). For a longer day out, take the bus/train to Venice and see St Mark's Square, the Doges' Palace and the Peggy Guggenheim Museum. Walking through rows of lush green vines you reach the highest point of the holiday, on the flanks of Monte Venda (601m). The plain is mapped out before you, with views towards the Berici Hills near Vicenza. Then it's on through oak and chestnut forests, and down through vineyards and olive groves, back to Gabriella and Alessandro's welcoming farmhouse. 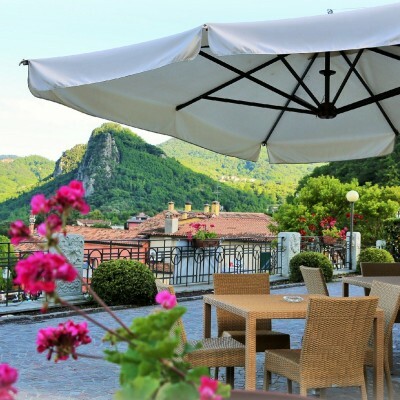 This tranquil retreat, located just outside the mediaeval village of Arqua Petrarca in the Euganean Hills Natural Park, offers fabulous, panoramic views of the surrounding countryside. The hotel's restaurant, Il Canzoniere (The Songwriter in English) features two terraces with wonderful views over the estate. The chef combines locally sourced seasonal produce with ancient recipes to create some fabulous dishes, with a special flare for grilled meats, and wines to accompany them. The hotel's bar and rooftop terrace are great places to relax, the latter with great views over the surrounding olive groves and pine trees. All the rooms are simply furnished and have parquet flooring. They are all air-conditioned, have an ensuite bathroom and a TV, safe and complimentary Wi-Fi. Please note that the restaurant is closed every Monday. For all stays on this day we will arrange evening meals at a local restaurant. Transfers included from Vicenza train station at 14:03 and back to Vicenza train station at 12:55. For us this was the perfect combination of quite challenging walks and the opportunity to visit villas, gardens, monasteries en route. The Euganean Hills were a delightful landscape of vineyards ,woods and olive groves. We also particularly enjoyed visiting Vicenza on the way back. A quiet but attractive area of Northern Italy well worth discovering. A lovely combination of stretching but not impossible walking, lovely unknown countryside, and fine food. Another excellent holiday with Headwater. Our Manager James was one of the best we have experienced with Headwater. Nothing was too much trouble and he provided very useful information at our introductory meeting. Hopefully we will be fit enough to embark on another walking holiday with Headwater in future . Overall we had a really good week in the Euganean hills; the weather in late September was a bit warmer than we had expected and this made the walking slightly more strenuous and the insects were numerous - take plenty of repellent! 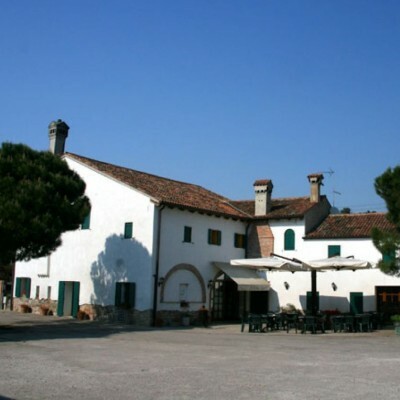 The accommodation does vary quite a lot; the Villa Lussana is excellent, everything works and the food and service are all you could hope for. Il Feudo is fairly basic, though the staff are friendly. Villa del Poeta was very good, excellent food and service however they do often host weddings at the weekend which can be noisy. Our least favourite was the Belvedere. The walking is very good and the directions generally ok though we found having a GPS device useful at times. James our rep was extremely helpful with transfers, advice and updates on routes. There were plenty of suggestions for rest days - our favourite was visiting the Villa di Vescovi from Teolo.....where we were able to use our National Trust cards; the villa is magnificent - but check opening hours as its not open every day. Excellent holiday in beautiful countryside. Even though we walk regularly the walks were on the tough side for two people over 75,! The plus sign after the 1 was obviously very significant! There was however scope for visiting nearby cities or exploring the countryside by bus instead of doing all the walks. We appreciated a short alternative walk for the last day. This holiday was recommended to us by a couple we met on a previous holiday. It took us 3 years before we booked it but were very glad that we eventually did. We enjoyed our holiday in the Euganean hills. Even at the end of May/first few days of June, the temperatures were pushing 30 degrees most days, which made the walks a little more demanding than we had expected, but as occasional walkers there was nothing that pushed us too much, however we used walking poles and would not have wanted to be without them. The scenery was magnificent and the views were always worth the effort of any climb. Accommodation and food was of a good standard, particularly Hotel Villa del Poeta, where Carla and the restaurant staff provided outstanding service to match the excellent food. The only downside to Villa del Poeta is that the restaurant is closed on a Monday and if James hadn’t been kind enough to ferry us to and from the (very good) local restaurant that provided dinner that night, I don’t believe we would have enjoyed the walk back in the dark, as the hotel is a little way outside of town. 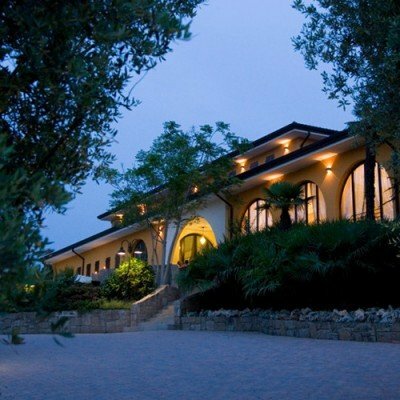 A mention should also go to Villa Lussana for excellent comfort, food and hospitality. As others have mentioned it is a pity about the motorbike noise from the cafe opposite, although we were there on a public holiday weekend, so perhaps our experience was not typical. Route notes were generally very good but it was a pity that the route shown on the map provided was not totally accurate, causing a little doubt and confusion during one of our walks. Beautiful hilly countryside and plenty of variety of terrain on the walks. The best Prosecco ever! We recommend an extended stay in Venice. We had a very enjoyable walking holiday in Northern Italy which was absolutely stunning. The walks were varied and interesting and notes clear. Sarah was an excellent rep and we felt like friends from our first meeting. We liked this area very much. The walking was not too challenging, but varied. We can highly recommend Padua by local bus. Sarah is an outstanding rep. making sure that everything worked smoothly. Lovely walking - challenging enough without being exhausting - in a delightfully different landscape surrounded by vineyards, orchards, olive groves, farmland and woodland. On one of our free days we enjoyed a splendid day in Padua (travelling by bus from the bus stop two minutes walk from the hotel!) as well as a gentle Saturday morning strolling around the market in Este, punctuated by coffee and lunch stops in the cafes around the Square - so relaxing. We started the holiday with an amazing two day stay in Venice, which made the quiet lanes and wooded paths of the Euganean Hills a wonderful contrast to busy tourist packed streets! Thank you Headwater and well done. We enjoyed the walking and the general ambience of our holiday experience in the Venetin Hills. Sarah, our guide/rep was particularly helpful and patient. She was prompt and attentive. The only thing we would suggest changing is the order of the walking, to do the holiday day in reverse rather than starting with the longest day's walking. Well thought out walking routes with meticulous notes to ease the way. Individual hotels with character and good service and food. The Representative's briefing was thorough and very helpful. Good...as usual. Walking was significantly, though intermittently, above grade one. A magical week exploring this tranquil and refreshingly untouristy area of Italy, with the added bonus of being able to spend city days in Padua and Vicenza. Torn between wanting to tell everybody and wanting to keep it a secret so it remains unspoilt! Summary: beautiful area for walking with vineyards, olive groves and wooded hills to explore, totally unspoilt, no tourists and very friendly locals. Interesting villages and nearby historic towns to visit. We would love to return to this little known region. Lots of fun and good exercise with a reward of a lovely meal at the end of the day!! We didn't receive the trail instructions in advance. Sarah had a spare copy which she updated for us and rearranged our return rail journey to a more friendly time. Since we couldn't get a flight on a standard join day, and the Venice hotel was unavailable we stayed In Venice Mestre for a night. Not a sparkling town. I am not a fan of Venice, but my wife hadn't visited before. The Italians are rebuilding Marco Polo airport and there was heightened security--a modern travel story. The peace, and relaxed way of life in the Euganean Hills plus a very good rep made the holiday. Excellent Experience. Charming area. Very unspoilt - had a real italian feel. Quiet, sunshine, heat, beautiful countryside and small towns - wildflowers and birds, hills, views - good food, good local wines, friendly people all in a hidden corner of Italy. What's not to like? It was a real treat. This was a great way to explore the Euganean Hills , we travelled in late September and the weather was perfect for walking. The holiday is a great combination of walking and rest days and our rep ,Sarah, had plenty of good advice on what to see and do. Beautiful verdant area to walk in. Fantastic views. Lots of options for rest days. Another excellent self-guided walking holiday from Headwater. Everything was up to the very high standards we expect from them. The entire 8-day holiday was a delight including the visits we chose (Padova, Monselice) on our days off. We chose to walk the suggested options for our last day off. The weather was poor but we had a fabulous 'extra' day of walking. This area of the Vento is so beautiful and the walking around the Euganean Hills was terrific. Sarah our lovely rep was superb. Thank you Headwater. The walks are strenuus enough that we felt a glow of achievement on finishing each one, but not so difficult that we sruggled as occasional hikers. The mix of agriculture and woodland walking surrounded by birdsong is wonderful. 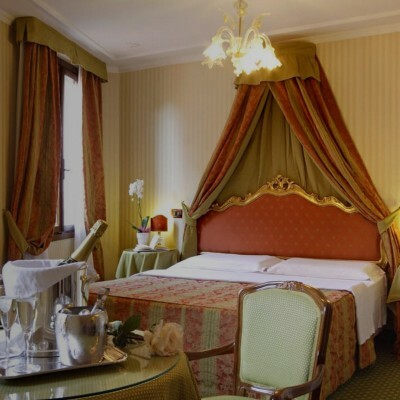 Adding an extra 3 nights in Venice staying at the Hotel Kette made the whole holiday one to remember for many years. It was great to have such a complete break and while we didn't it the support available from the rep it was reassuring to know that assistance was only a call away. We particularly enjoyed moving on from town to town and having the rest day in between walkis created a great deal of variety as we got to see other towns. We particularly liked Villa Lussana and the food was really good there - it was also the first walk we didn't get lost on so there was a great sense of achievement in arriving there! Can't speak too highly of Sarah - Headwater is fortunate to have someone with such high standards, thoughtfulness and warm personality.. She was very attentive and concerned about a couple on the cycling holiday,one of whom had sustained an eye injury while cycling. Villa Lusanna was particularly good in terms of welcome, food and friendliness. Some years ago we did the walking in the Loire valley holiday. The standard of food, accomodation and route notes were much better in the Venetian Hills holiday. .
Lovely area, very peaceful with enjoyable walking. Great to visit Padua on our rest day. Added on a day and night in Venice at the end of the holiday which would highly recommend. Our holiday was the perfect combination of supported and independent: you do have to be prepared to sort out a lot of things for yourself, which we really like. Yet, Sarah was always available if we needed help. The itinerary was thoughtful and had great variety every day. We got a lot of satisfaction from completing all the suggested walks. Our rest days were extremely busy days as there is lots to do in the region - we enjoyed the chance to have these days to explore and do something different. A wonderful opportunity to have a 'safe adventure!'. Euganian Hills are a beautiful, unspoilt area to explore, the vineyards and olive groves were a delight, and the views amazing. It was a brilliant holiday - everything was well organised and went according to plan. The scenery was superb, the walks were more challenging than expected because of the extremely hot weather (38F one day!) but loads of shade and wonderful views helped us through. Our local rep was brilliant and there was more than enough information from Headwater for us to find interesting things to do on our rest days. All the accommodation was good but Villa Lussana was a holiday highlight. Thoroughly memorable. Thank you! A really relaxing and enjoyable holiday giving us the opportunity to visit some lovely areas of Italy. The Headwater representative was well informed and really helpful allowing us to enjoy our holiday to the full. We walked through a beautiful quiet unknown part of Italy meeting friendly people in small hotels and rural towns and felt welcomed everywhere. This holiday took us to a lovely area that we'd never have known about if we'd not come across it through the Headwater website.We wondered how we'd cope with our first mobile holiday, but it all went so smoothly that we had no problems; rather, we found it interesting to stay in 6 very different hotels in 9 nights! Having read other comments and seen the weather forecast, we went prepared for all conditions. Yes, it rained a bit, but it was warm rain without wind - nothing like the Scottish variety and we were lent a giant Italian umbrella in Este for our visit to the market and the rest of this lovely wee town. Because of the Giro d'Italia our first [non walking] day was a bit disrupted but Sarah was able to drop us off in Téolo to see the race [and it's vast entourage] go by. As my husband is a very keen cyclist who normally watches this on TV at home, this was a real treat and much appreciated. We also appreciated that one of her first acts on collecting us from Vicenza station was to offer us each a bottle of chilled water. The holiday exceeded our expectations. Our rep, Sarah, was extremely helpful and friendly. We enjoyed discovering this beautiful part of Italy. Good walking, good accommodation , food and wine. Interesting cities and towns to visit. Although not far from the bustling city of Padova, the Euganean hills seem to be an undiscovered gem and we saw far more butterflies than walkers! We enjoyed all of the walks and there were plenty easily accessible attractive places to visit on our rest days. Our holiday was enhanced by a night in Venice at the start and at the finish. The welcome & help we encountered from local people was phenomenal. An excellent walking trip with the added extra of a few days in the superb city of Venice. Excellent support from headwater Rep and good to be 'off the beaten track' in a lesser known and unspoilt area of Italy. We topped and tailed the walking with two nights in Verona and two nights in Venice which gave a nice contrast. The walking was enjoyable with a variety of terrain and the route descriptors good. We were lucky with the weather but it can be unpredictable so you need waterproofs and/or a brolly just in case. Good insect repellent is worth the investment. The area is unspoilt and there seem to be very few tourists. Accommodation was good though air-con is either poor or doesn't exist so it is hot at night. On our rest days were able to visit Montagnana and Padua which were both very enjoyable. However, if you can try to organise the holiday so that you are walking on a Sunday you will avoid being marooned on a rest day - no buses run on Sundays! We found the locals to be friendly though most had as much English as we had Italian - very little! The rep - Sarah - was charming and very helpful! Italian beer is good but expensive - local wine is good and good value! Overall a great experience. We enjoyed the holiday and would recommend it. Sarah is an excellent asset to Headwater, knowledgeable and friendly.She was thorough in going through the briefing notes and was on hand if we needed. The walking notes were accurate, at times it felt like a higher grade walk than billed, but that just added to the achievement after each one. Views spectacular, hotels and food excellent. Rest day in Padua to see Giotto Frescoes and then the Anatomy Theatre at the University was fantastic. Sarah gave us opening times and suggestions, so that was really time saving and useful. This was our first HW holiday, and we are already looking where our next one could be. Dear Mrs Todd, Thank you for your lovely comments regarding our rep Sarah, we have passed your feedback on to her and she was delighted. We were also pleased to see that you had an enjoyable 1st holiday with Headwater it sounds like you took in all of the sights and sounds that this region has to offer. We look forward to welcoming you on your next holiday with us in the future. Excellent representative. Belvedere hotel a gem. Our overall perception is coloured by the fact that we hit a heatwave of mid-thirties degrees in the shade which, given the steepness of the hills, was exhausting. Excellent suggestions for the days off from walking. Dear Mr Joyce, Thank you for your feedback. I have passed on your comments to the programme manger for the region,she is currently in the process of updating the route notes, unfortunately, there have been a number of amendments needed due to the unusually poor weather experienced in this area over the winter. Please accept our sincere apologies for any inconvenience this may have caused. We hope that despite this issue, you had an enjoyable holiday overall. The Venetian Hills holiday was a truly enjoyble experience. This is a little-known, unspoiled part of the country and ideal for walking. The welcome and service at all the hotels was second to none. il feudo is rather basic and rustic .Steep stairs no lift.Shower unit in bathroom fell off wall.,not a lot of pressure. Welcome was good though. Villa Lussana all confection ---no lift Headwater customers on second floor. shower unit cracked and water only just warm enough. For walkers some paths i found quite tough walking over tumbling rocks in the hills which could easily have been dangerous so you had to be vigilant. Having done a fair few walking hols i found this one quite tough . but may be age had something to do with it . i would have graded it a little higher i think. But enjoyable all the same .Well its Italy ---whats not to like!!!!!!! we visited Padua and Monselice. At the end of our holiday we tagged on a few days in Venice, as it was virtually on the way back anyway and that was great as well. We just would like to add our sincere thanks to Sarah our rep. She gave us lots of interesting information about the region, and seemed to know all the walks in great detail because she gave us very good advice about finding our way. It gave us a good start to our holiday! We are looking forward to our next holiday with Headwater. Enjoyable walking in beautiful scenery combined with very comfortable hotels. A great introduction to this little known area of Italy. The itinerary meant that we could easily combine walking with sight-seeing. We were most impressed with the welcome and hospitality at all the hotels, as well as the great service offered by Sarah, our rep. However, we were surprised at the challenging terrain of the walking, especially on the last day (Teolo to Il Feudo) and our overall enjoyment was spoiled by having to cope with shinning up rocks, then traversing knee-deep mud, then a slide down a rock strewn path. It was not the enjoyable countryside walking with views we had envisaged. Every two days from 25th Apr 2019 to 22nd Oct 2019, for 8 nights. All dates are subject to availability, please contact us to check. Due to the tailor-made nature of our holidays, we need a little more information in order for us to check availability for Walking in the Venetian Hills. Simply complete the form below and a member of our sales team will contact you (when it's most convenient for you) to provide availability information, travel options and an accurate price. Of course there's no obligation, but if you do wish to proceed with a booking they will be on-hand to assist you throughout the process.